Each year, millions of homeowners, restaurants, apartment complexes and other businesses replace their old, inefficient, broken or just plain ugly appliances with new appliances designed to be more efficient and more attractive. After years of faithful service your freezer, refrigerator, stove or other large appliance finally gave up the ghost causing you to have to purchase a new appliance, Or perhaps you have decided to renovate your kitchen and have purchased all new appliances and need to get rid of those old appliances you no longer need. Queens, and the rest of NYC have very strict rules and regulations concerning the disposal of old appliances. Those with Freon need to be handle in specific ways to avoid the leakage of the free on. In addition removing those heavy appliances is back breaking work and most individuals do not have the tools to safely remove their old appliances. Flat Rate Junk Removal can remove those old appliances for you safely and easily. 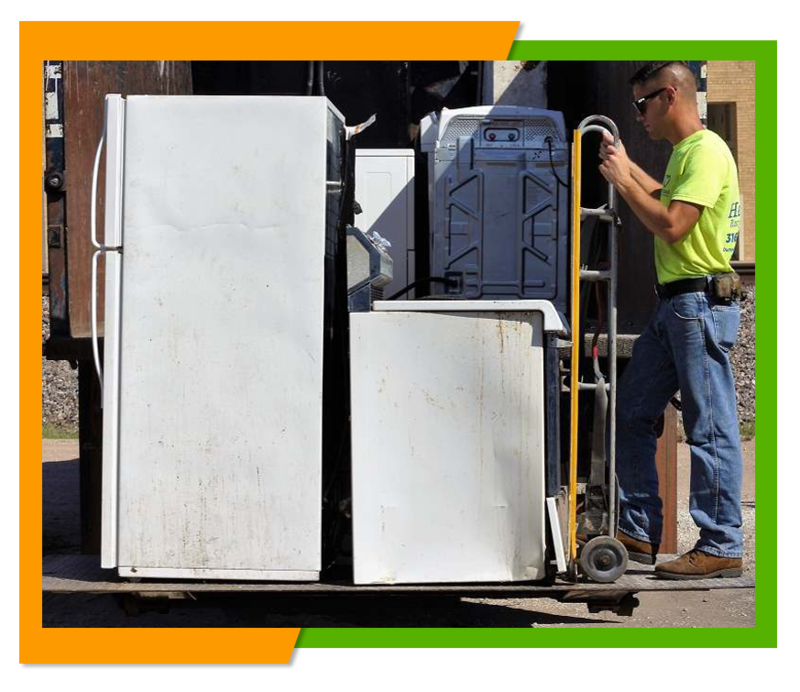 Here at Flat Rate Junk Removal we remove all different types of appliances including refrigerators, freezers, stoves, ovens, dishwashers, washing machines, dryers, and more. Our experienced two man crew have the right tools and knowledge to handle any appliance safely while saving you the back breaking work of removing those appliances yourself. We'll even clean up the area where the appliance was sitting after we remove the appliance. Having us remove those unwanted appliances removed couldn't be simpler. All you have to do is give us a call and set a date and time that is convenient to you to have come and pick up your unwanted appliances. When we arrive all you have to do is point to those items you would like to have removed and we will do all the rest. If any of those appliances you want removed are still in working condition or can be fixed we will recycle those appliances to save them from adding them to the landfill and give them new life with someone who needs those appliances. Unlike other junk companies we don't charge our customers extra for recycling any item. Those appliances that use Freon we will dispose of in the proper manner. 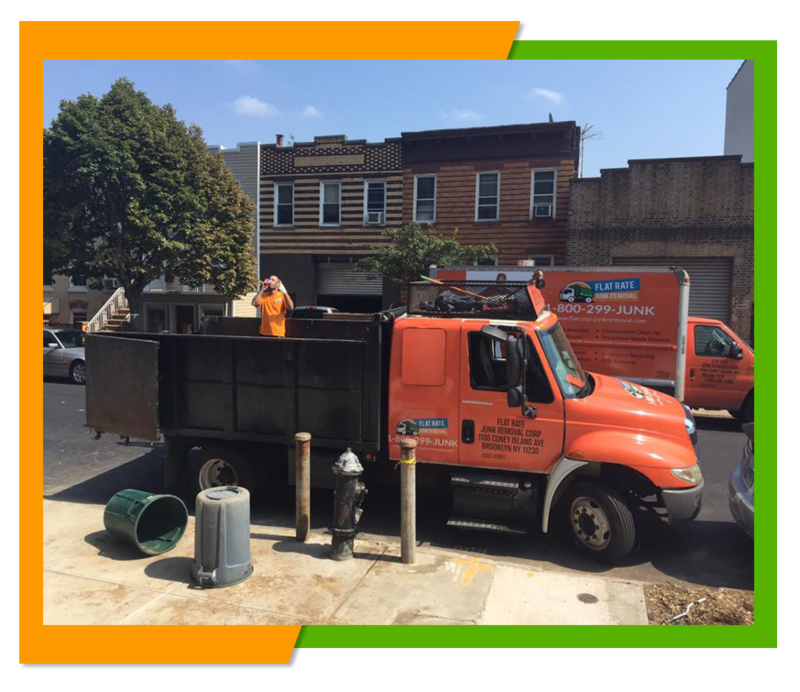 We also offer complete clean out and will remove mixed loads so you can get rid of those old appliances and any other trash you need to have removed as well. If you have a lot of appliances that you want to have removed our flat rate can save you money since it doesn't matter what size of load you have we will cart it away for our flat rate. We also handle mixed loads so we can remove any other junk you are looking to have disposed of, making a full load. We want you to know right up front how much our services will cost you, which we why we offer you the option of getting a free estimate based on your individual need whether for a single appliance removal or a full load. You can either give us a call and set up an appointment for the estimate or you can check out our price list right here on our website at www.flatrate-junkremoval.com. To schedule a free estimate or an appliance removal then give us a call at 1-800-299-5865 and we will be happy to be of assistance to you.